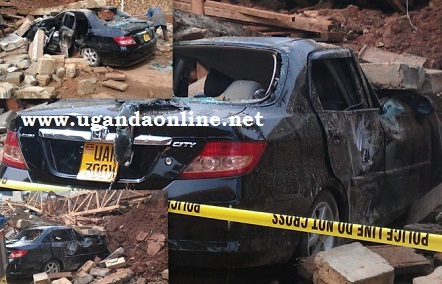 A vehicle belonging to Asians of Indian origin was yesterday destroyed by a wall that collapsed after it had rained heavily. At the time of the collapse, the Indians who had been playing cricket were in the car when the wall collapsed injuring the driver badly who is now unconscious according to the pump attendants at Shell petrol station on Stretcher road in Ntinda. The four occupants were rushed to hospital though were not badly off as compared to the driver who broke the spinal cord. In a related development, three people were killed when a wall to their house was brought down by strong winds. The dead were identified as Harriet Nangubi, Trevor Luyima and Timothy Semakula. “The rain we are seeing now is around Lake Victoria and the Western highlands and we should expect heavier rain by the end of this month and it will spread to other parts of the country by the end of March.” said an official from the Meteorological department.